The EMX3 is a comprehensive motor management system for the most demanding soft starting and stopping applications. With an impressive range of features, the EMX3 delivers superior performance and an unprecedented level of flexibility in a compact and user-friendly package. The EMX3 doesn't just start and stop your machinery with constant current and current ramp, it also features the innovative XLR-8 Adaptive Acceleration Control. XLR-8 gives you the ability to precisely manage your starting and stopping accelertion, reducing downtime and addressing water hammer problems. 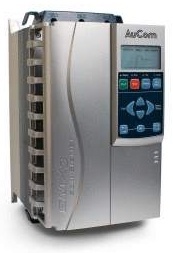 The EMX3 soft starter is smart, dependable and easy to use. Advanced design features make the EMX3 the perfect solution for quick set-up or more customized control. We’ve packed the EMX3 with features designed to make your life easier, including real-language feedback messages, so you don’t have to look up codes to know what’s happening. A quick setup guide helps you configure the starter for common applications by suggesting a typical setting, which you can then fine tune to suit your needs, all accessible from the easy to use keypad. The keypad is easily mounted on the exterior of your enclosure, using an optional keypad mounting kit, and a single keypad can be used to transfer settings between starters. If space is at a premium in your motor control center, the EMX3’s compact size will save you space and trouble. 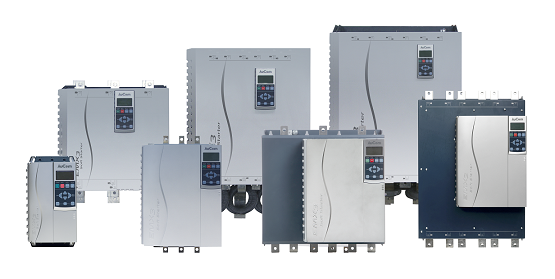 Internal bypass contactors, built-in monitoring and indicators, and extensive on-board input and output functionality reduce the need for space and cost of auxiliary equipment, as well as simplifying installation. Real-time graphs of motor operating performance and current quickly and clearly illustrate exactly how your motor is performing. No fuss, no trouble - a smoother start in every sense.